Representative Susan Johnson joins her colleagues at a press conference in urging Governor Dannel Malloy to reject a plan to close vocational-technical schools. 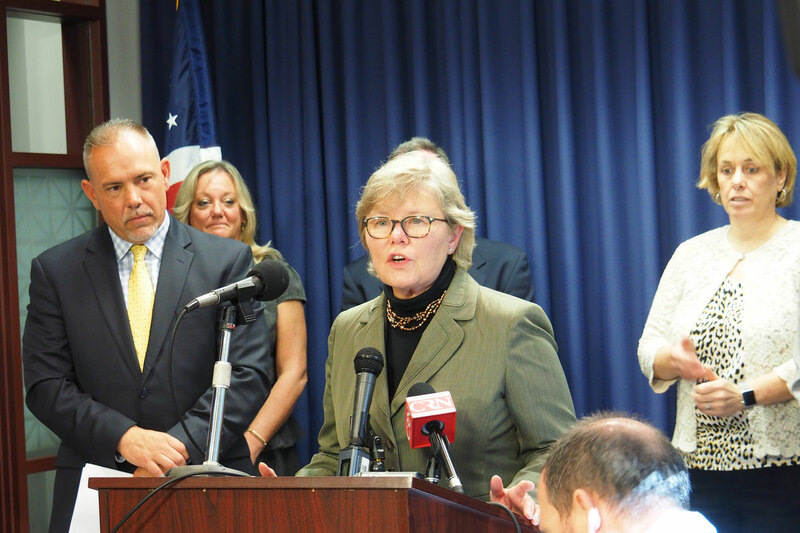 Today I joined House Majority Leader Joe Aresimowicz and spoke out at a press conference to oppose any proposals to close vocational-technical high schools to help balance the state budget. Doing so would be short-sighted and do more damage in the end to our state. If anything, our vo-tech schools should be expanding to meet the growing needs of our manufacturers. Johnson and her colleagues urged Gov. Dannel Malloy to reject the Department of Education's proposal to close the vo-tech schools. View video of Rep. Johnson speaking.